The uptown cat tree is part of a brand new range of products from Kerbl and is a whopping floor to ceiling cat tree that can be extended up to a height of 250 – 265 cm! If your kitty likes to perch and watch the world go by from a majestic height, then nothing in the feline cat tree world get higher (and mightier) that the uptown cat tree. 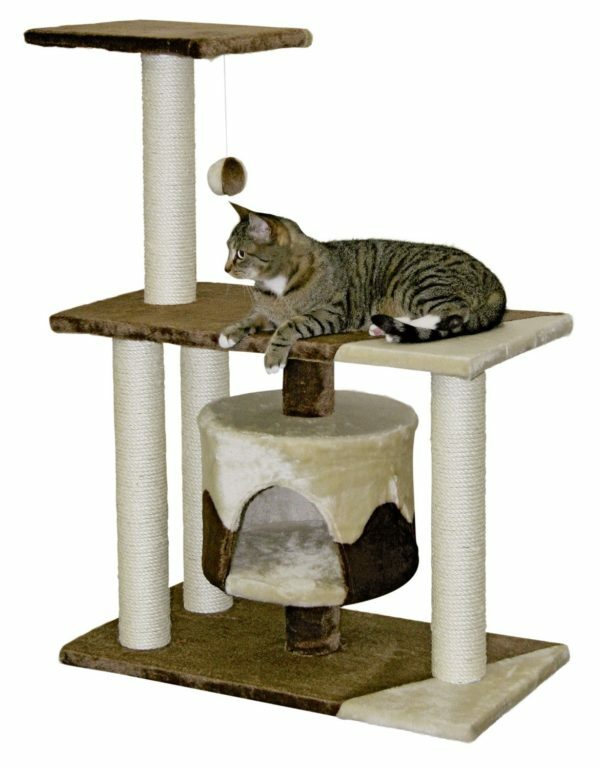 With over 5 levels for your feline to play on, this cat tree is the perfect environment for energetic felines who like to climb and scratch and lets be honest, which cat doesn’t enjoy these natural urges! Your kitty will love to peek their little whiskers out from the kitty condo included which has also been given a dangling play ball for the to try and catch with their paws. If they prefer to kick back and relax, then the beautifully plush and soft kitty hammock at the top of this cat tree offers just that! The gorgeous styling of the uptown cat tree sets this apart and will stand out within your home wherever it is placed.